The 3rd Annual #SMLipstickFest Celebration #ThePowerOfLipstick- Own It! "If you're sad, add more lipstick and attack"- Coco Chanel. I really couldn't agree more- lipstick is powerful! There's just something about lipstick that makes us feel a little bolder and completely transform our mood. A single swipe from our trusty bullet is sure to make heads turn and give us the confidence to rule the world! 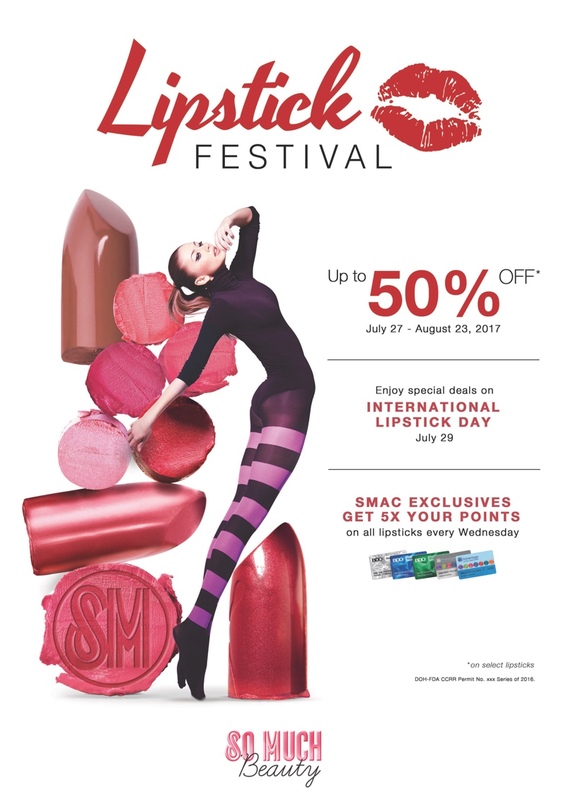 What better way to commemorate one of our favorite beauty products than by celebrating it at The SM Store Beauty Section 3rd annual SM Lipstick Fest? With International Lipstick Day around the corner (July 29), why don't you treat yourself to a new tube of lipstick and get ready to rock any look no matter the time of the day. Get exclusive deals, freebies, promotional offers and biggest discounts from all participating brands until August 23, 2017! This nationwide celebration will have participating brands such as In2It, Maxfactor, Covergirl, Pop Beauty, Sleek Makeup, Flormar, Deborah, Jordana, Golden Rose, Burt's Bees, Benefit Cosmetics, Shawill, BYS, Happy Skin, Jazzy, Shiseido, Clio, Revlon, Bobbie Cosmetics, Details, Ever Bilena, and more! Is it actually possible to have too many lipsticks? Of course not! 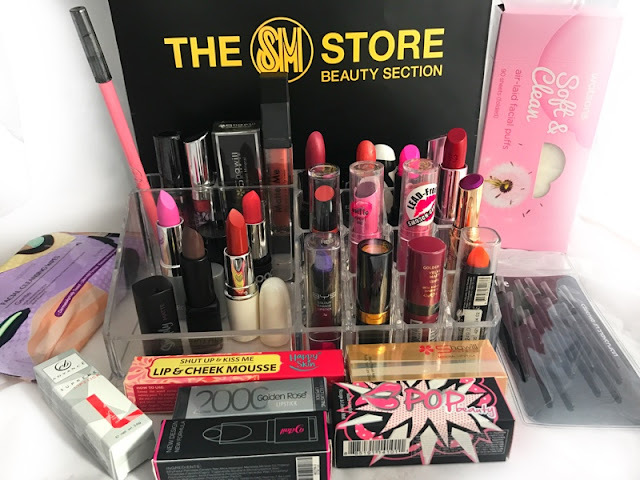 Follow @smbeautyph on Facebook: https://www.facebook.com/SMBeautyPH/ Instagram: https://www.instagram.com/smbeautyph/ for more information and to stay updated on their latest promo. Share your shopping haul or experiences on your social media using the hashtags, #ThePowerOfLipstick and #SMLipstickFest and be part of this global celebration!